Historic Glendale, Arizona is a quaint collection of more than 100 antique stores and specialty shops, unique museums, charming eateries and a hometown candy factory with a nice variety of historic homes for sale. Historic Downtown Glendale is a must-see and has a rich history. Located on the Western edge of Phoenix, Glendale is a convenient 20 minutes from Phoenix Sky Harbor International Airport. As Arizona’s fourth-largest city and home to the 2008 Super Bowl, Glendale offers travelers a wide variety of amenities including the famous Historic Downtownshopping district, legendary special events and festivals, museums and cultural attractions, and a growing number of professional sports facilities. 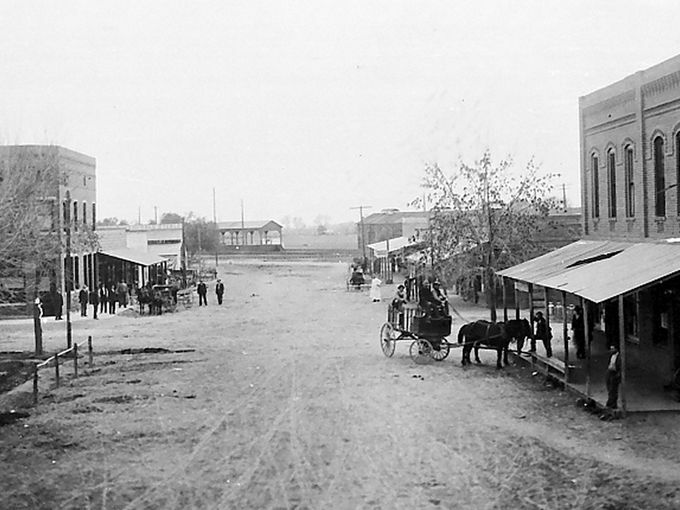 Glendale is a well-planned blend of Old West and New Economy. It’s one of the fast-growing Arizona cities, yet remains most famous for its well-preserved, historic charm. Cowboys, farmers, ranchers and Native Americans wove the fabric that is the Glendale of today and visitors are afforded a number of ways to catch a glimpse of these pioneers at the many cultural and heritage attractions within the city. Preserving one of the Valley’s oldest and most magnificent ranches, Historic Sahuaro Ranch consists of 13 original buildings and a huge rose garden. Palm trees wave above the red brick facade of the Main House, and peacocks now roam the grounds where chickens and livestock used to graze. Known as the “Showplace of the Valley,” Historic Sahuaro Ranchoffers exhibits and guided tours, keeping alive the history of early settlement in the Valley. Historic Manistee Ranch also beckons visitors to explore the well-preserved ranch house beneath the canopy of swaying palm trees. Tours are also available. Housing a collection of more than 100,000 beads and beaded artifacts, The Bead Museum weaves a fascinating story of the global history of beads, including beads used as talismans or currency and their importance as religious and social symbols. Max’s Sports Bar Museum, named one of the top five sports bars in the country byUSA Today, has on display the largest collection of football helmets in the nation. Another popular attraction is Cerreta Candy Company. The owners delight in giving 30-minute tours Monday through Thursday, during which visitors receive samples. Self-guided tours are available every day but Sunday. Just before Valentine’s Day, Cerreta sponsors the annual three-day Chocolate Affaire, where the delectable, sweet stuff is on display in many forms, including Arizona’s largest chocolate heart, ranging upward of 300 pounds. Trace the history of the Glendale Policefrom 1892 to present day in Glendale’s newest museum. Opened in November 2002, Historian and Glendale Police Officer Dan Kallberg will take you back to the days of the Town Marshall and the 50-cent speeding ticket. View historical uniforms and radio equipment along with photos of the first Glendale Police Department motorcycle ~ a Harley Davidson. Historic Downtown Glendale has been named by USA Today & Sunset Magazine as one of the country’s ten best places for antique shopping but savvy shoppers also find a medley of imports, jewelry, art, crafts, collectables, and bath and body accessories. In fact, Historic Downtown Glendale is actually two neighborhoods: Historic Catlin Court with its white picket fences and mature shade trees welcoming visitors to the Bungalows-turned-specialty shops, and Old Towne boasting brick-trimmed sidewalks and glowing gaslights leading the way to the famous antique stores. The neighborhoods span 10 square blocks which can easily be strolled in an afternoon. Culinary enthusiasts will find a wide variety of ethnic eateries in theHistoric Downtown Glendale Dining District. Come and sample Asian, Polish, German and Mexican cuisine. Our famous tearooms will provide an afternoon delight. In addition to Historic Downtown, shoppers can also delight at one of the largest malls in the region – the beautifully-designed Arrowhead Towne Center. Conveniently located just off the Loop 101 freeway, the mall features water fountains, a movie theater and more than 170 shops and restaurants. And for entertainment, the Bell Road Corridor is home to an enviable collection of rave restaurants and must-see shops. If you like historic homes and don’t want to be so far west of Phoenix, you can also look at historic homes in the downtown and central Phoenix historic districts.